Sadly, you don’t have to travel far, even around the most prestigious Melbourne neighborhoods, to see the effects of slate roofs gone wrong—even “newer” roofs. And sure, every slate roofing contractor site claims they won’t let that happen to you. Well, the evidence to the contrary is out there. Let’s look at this in a positive light. There are numerous contractors around Melbourne who will stay true to their promise. If you choose one of them instead of us, okay, as long as you’re supporting honest, skilled, and hard working craftsmen who will provide value for your money, that’s great. But we’re admittedly biased. We already know you have a lot of outstanding reasons to choose us and we’re willing to prove it. Allowing us that opportunity is a win-win for both of us. You’ll get peace of mind knowing your need for honesty, fair pricing, and just downright not getting burned are issues you won’t have to worry about. Once you discover our talent for providing the perfect solution to your needs and anticipating problems before they have a chance to happen, we believe you’ll gain the confidence you need to make good decisions about your roofing. There’s at least one more important benefit we offer to your advantage. Our heritage is in repairing slate roofs. That experience gives us an edge not everyone can provide. 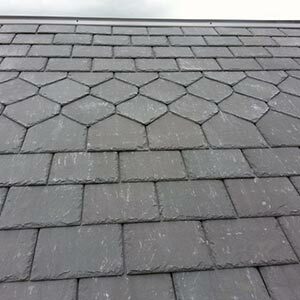 We’ve seen every issue that slate roofs have had to endure, even those well over 100 years old! We can offer you the option of a roof with a 100 year warranty. Those are pretty compelling reasons for you to contact us about your need for new roofing.